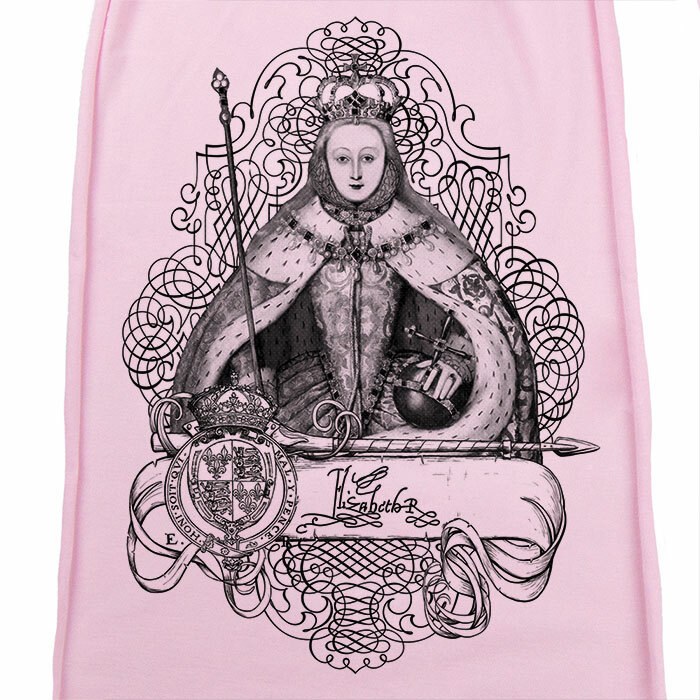 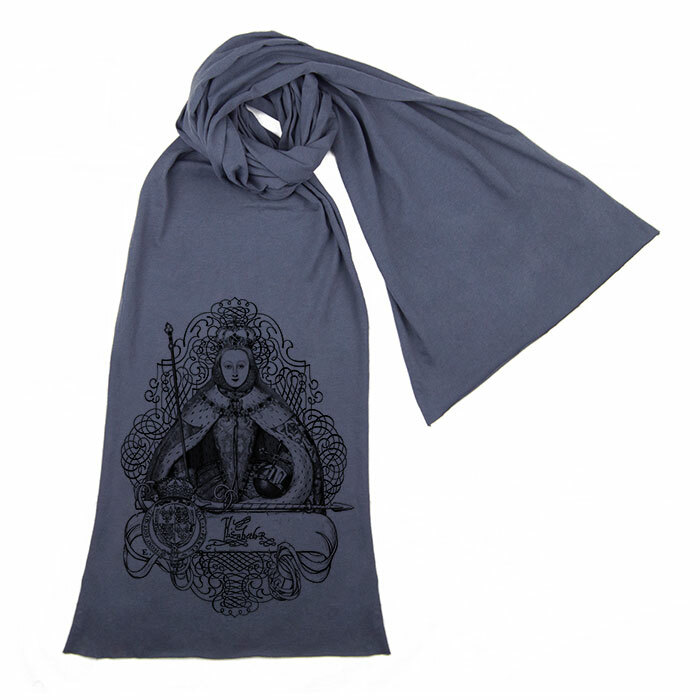 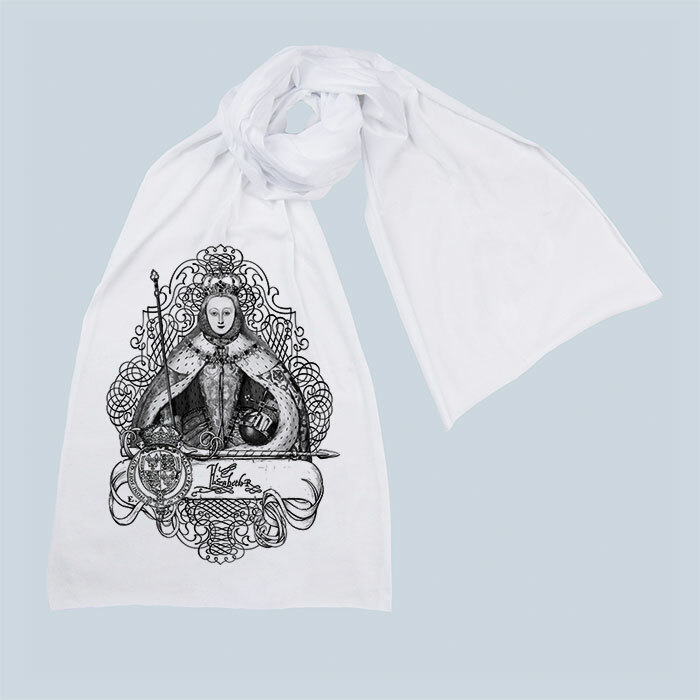 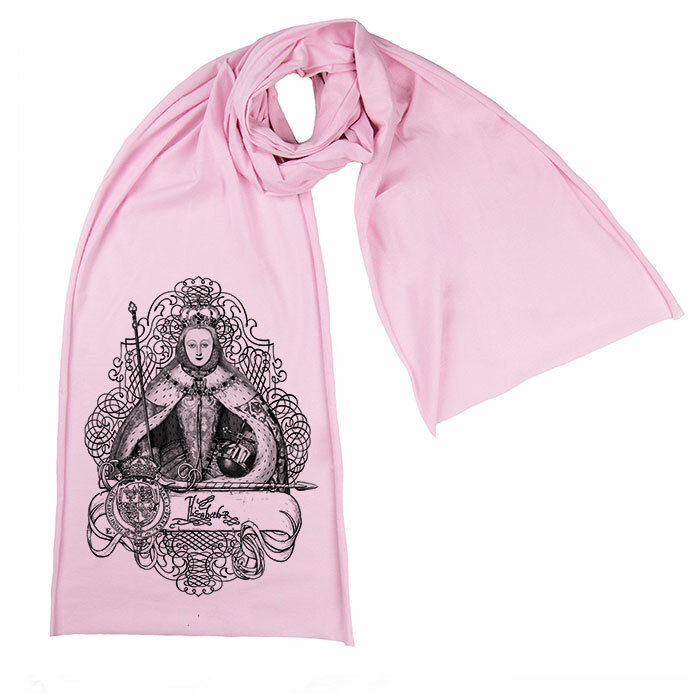 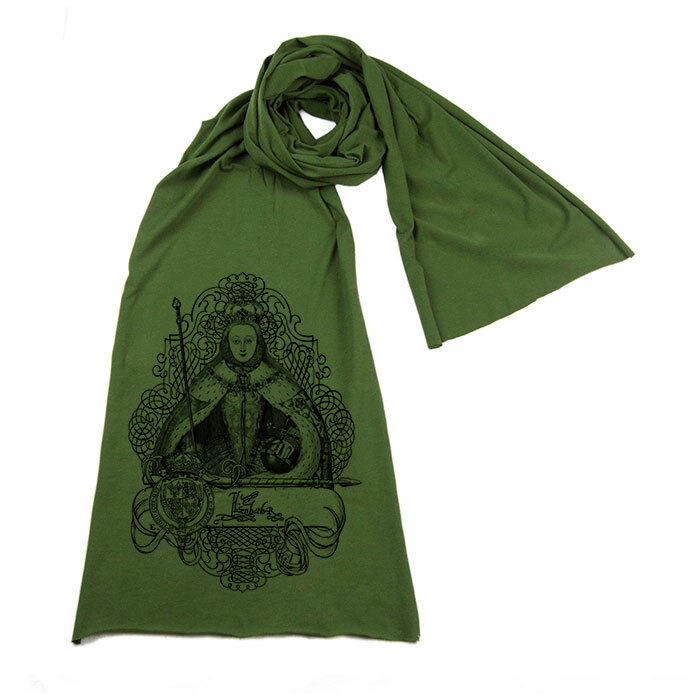 This all-purpose, comfortable Sheer Jersey cotton scarf features a drawing and design by Tiffini Elektra X based on the coronation portrait by an unknown artist of Elizabeth I. 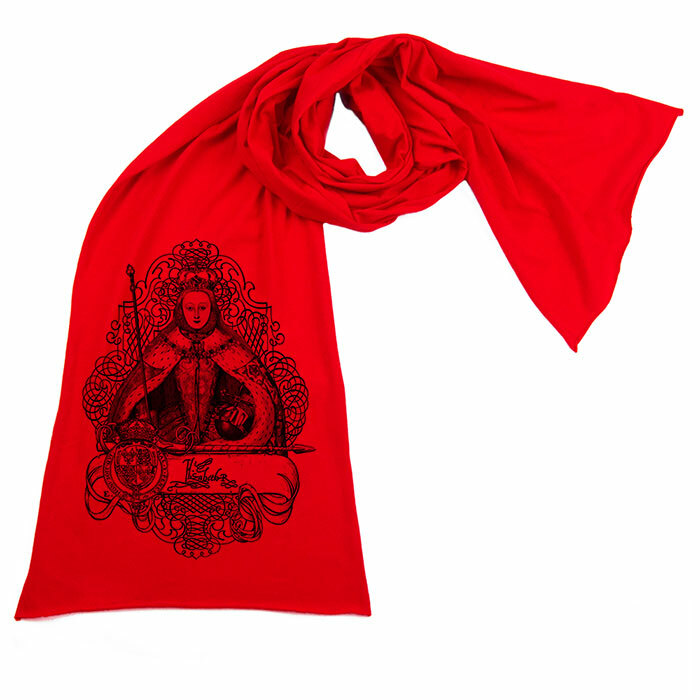 The design features a hand drawn banner along with with Elizabeth's signature and her coat of arms. 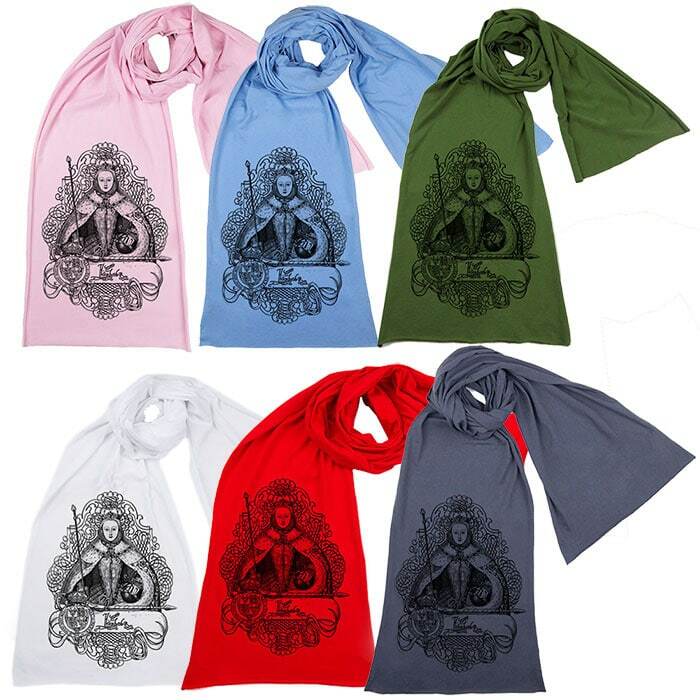 Colours: Olive Green, Red, White, Light Pink, Baby Blue or Medieval Grey colours with high quality water-based black ink. 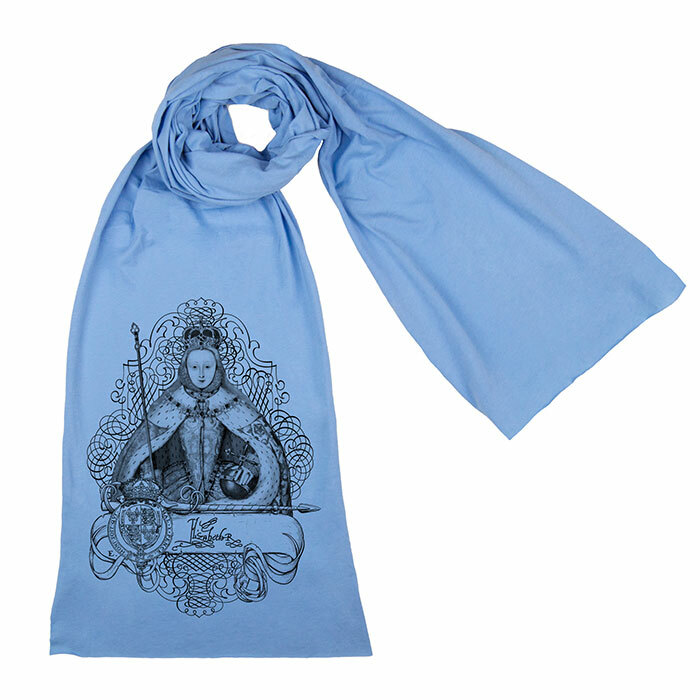 Conceptualized, designed and printed in Colorado, USA, and shipped worldwide.